Stretching our lead slightly with a fine win this week and a perfect order bonus, now 3.5pts ahead, need to keep pushing! Week 35 TNA came alive! 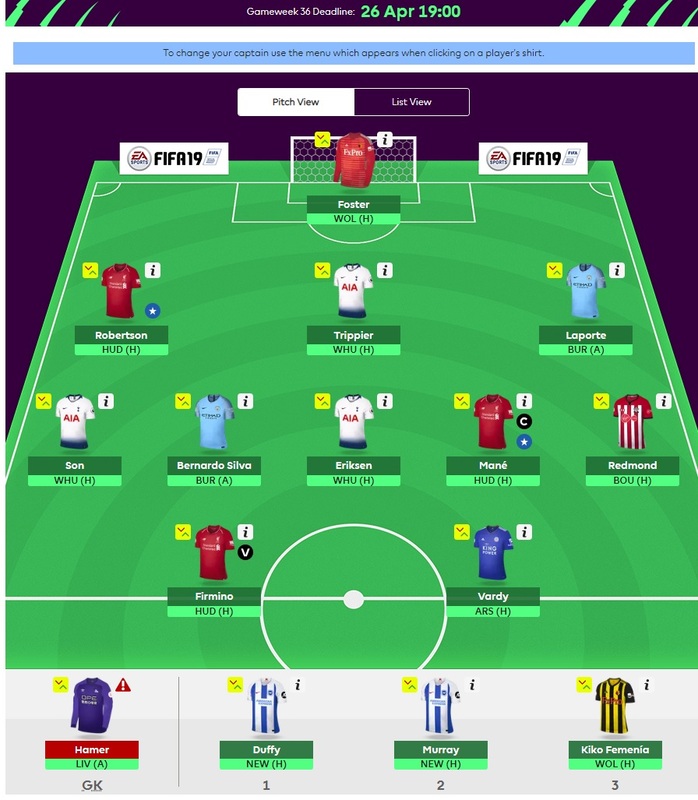 Wonderful scoring from Legatus and the 2 archers this week all playing their bench boosts to full effect, but well done everyone..
My gw36 is ready to go with 0 pt hits. Nice work lads. Few games left let’s finish strong. It's a wife mine now! Me this week. -4 taken and no chips played. Enjoy the games and enjoy your weekend folks ! Its a real hotch-potch and not easy to see who might go big with what and with whom..